Sign up for Broadjam today to follow Michael Anthony, and be notified when they upload new stuff or update their news! My name is Michael Fedrick. 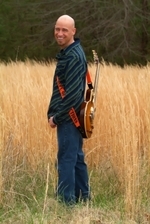 I am a singer ,songwriter ,musician , & producer based out of Kosciusko,MS.My band Michael Anthony & The Groove is a regional touring act working mainly in the Southeastern U.S. My music and writing style stems from many infleunces ranging from country to hip hop.My band's 2004 cd release "Groovious Maximus" has sold well over 2000 copies and has gained the band a large following throughout the Mississippi/Alabama/Florida area.For more information on myself and my music , our web address is www.michaelanthony.us.com .